Among the five official religions of Indonesia, according to the state ideology of Pancasila Under Suharto, Buddhism is the oldest one (with Hinduhism). This is the reason why, Buddhism in Indonesia has a long history dated back in the ninth century where Buddhist temples on Java island were built, for instance, Borobudur. The Buddhist pilgrim I-tsing visited Srivijaya in Sumatra on his voyage to India. Other Buddhist monks that visited Indonesia were Dharmapala, a professor of Nalanda, and the South Indian Buddhist Vajrabodhi. Many ancient Buddhist ruins and stupas are still left in Indonesia. Buddhism also flourished in Java and Bali. Two important Buddhist Javanese texts are the Sang hyang Kamahaanikan and the Kamahayanan Mantranaya. Hinduism came to Indonesia at around the second century. The first two major kingdoms (Tarumanegara in Western Java and Kutai in Western Borneo) were based on Hinduism. Buddhism came to Indonesia a few hundred years after Hinduism. It reached its peak at the time of the Sriwijaya's dynasty rule, which was once the largest Buddhist kingdom in South East Asia, from around the 7th century until the 14th century. During that time, many Buddhist colleges and monasteries were built, and famous Buddhist scholars, such as Dharmapala and Sakyakirti, were teaching there. Another major Buddhist kingdom was the Mataram kingdom, which was ruled by the Sailendra clan during the eight and ninth century in Central Java. Many Buddhist temples were built and Buddhist texts were inscribed on the stones tablets (called prasasti) during this time. The best known of these temples is Borobudur one of the Seven Wonders of the World. Borobudur represents three views of the universe according to the Indian Vajrayana tradition. The apex of the structure is a stupa, which represents the concept of Emptiness or Sunnata. Every year on the full moon in May, the Vesak celebration (called Tri Suci Waisak in Bahasa Indonesian), commemorating the birth, enlightenment, and passing away of the Buddha is held at Borobudur. 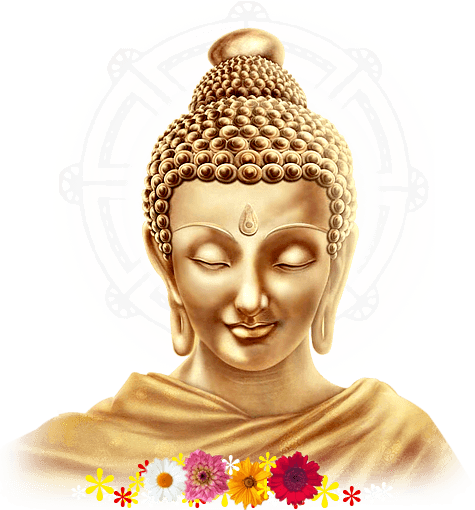 During the rule of the Majapahit kingdom between 13th to 15th century, Buddhism and Hinduism coexisted peacefully. After the fall of Majapahit, Islam was brought to Indonesia by traders from Gujarat, India. The influence of Buddhism started to decrease substantially after that, and was mainly confined to the areas of Eastern Java and Bali. In 1934, Venerable Narada Thera, a famous missionary monk from Sri Lanka, visited Indonesia for the first time as part of his journey to spread the Dhamma in Southeast Asia. This opportunity was used by a few local Buddhists to revive Buddhism in Indonesia. A Bodhi tree planting ceremony was held in front of Borobudur on 10th March 1934 under the blessing of Narada Thera, and some Upasakas were ordained as monks. In about 1955, Buddhism started to make a comeback in Indonesia when a monk called Ashin Jinarakkhita started a tour across various regions in Indonesia to spread the Dharma. Since that time there has been a revival of Theravada Buddhism in Indonesia led by indigenous monks trained in Thailand, although the Mahayana tradition is still well represented. Provinces with relatively high percentage of Buddhists are Jakarta, Riau, North Sumatra, and West Borneo. The majority of Buddhists now practice in the Theravadin tradition. Two of the large Buddhist monasteries are located in North Jakarta (Sunter) and West Java (Pacet). Unfortunately, because Confucianism and Taoism are not recognized in the Constitution, followers from these two religions also call themselves “Buddhist” (therefore, the actual numbers of Buddhists are believed to be less than the official figure).